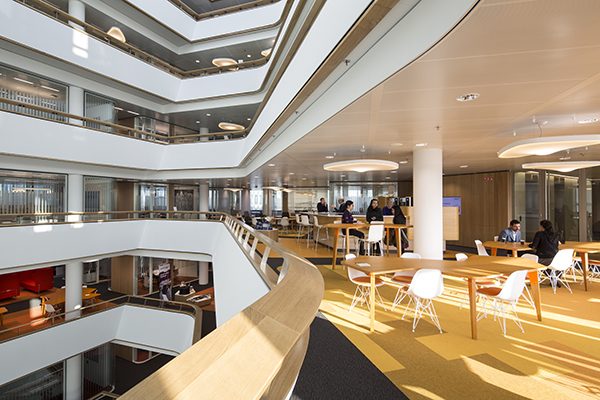 The new headquarters of Akzo Nobel, a global paints and coatings company, is situated at the Zuidas in Amsterdam. GROUP A designed both the exterior and interior as well as the underground car park of this 700 workplaces office building. 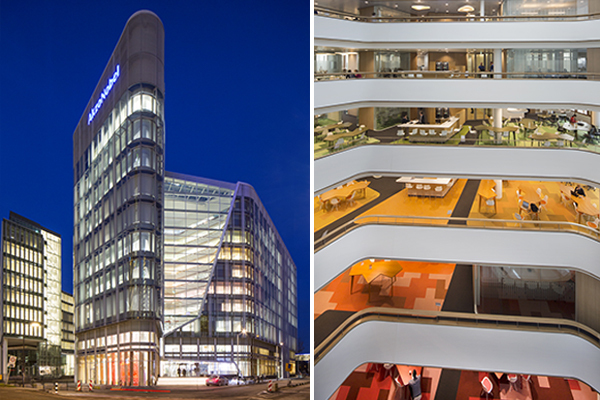 Beersnielsen was partly responsible for the lighting design of the office floors and the Akzo’s art space at the ground floor. The airframe design already included fluorescent tubes included in the cooling ceiling. Changes were not possible. 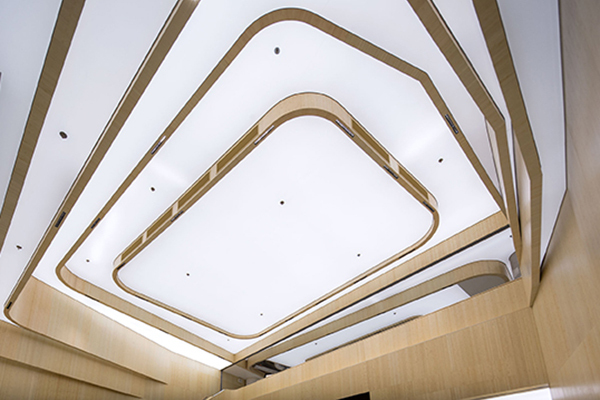 Another interesting challenge was the fact that the fixtures should be really thin, since recessed luminaires could not be placed, because of the cooling ceiling. Akzo Nobel is in possession of a large art collection. A considerably number of these art works are exposed in the eye catching Art Space. Since the exposition in this Art Space will change regularly, the walls and fixtures are flexible. The spots and light lines can be moved in the lines in the ceiling. 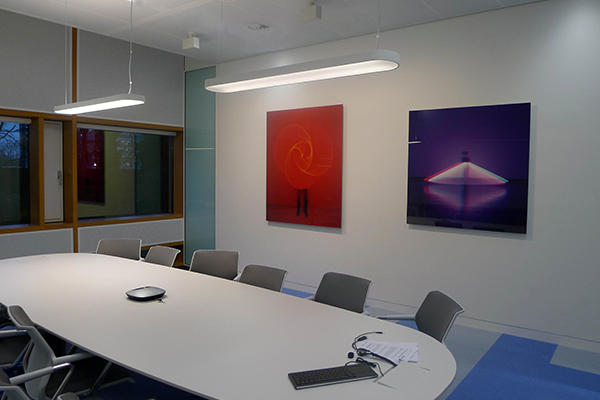 The modern art collection is not only visible in the art center, but also in the meeting rooms. 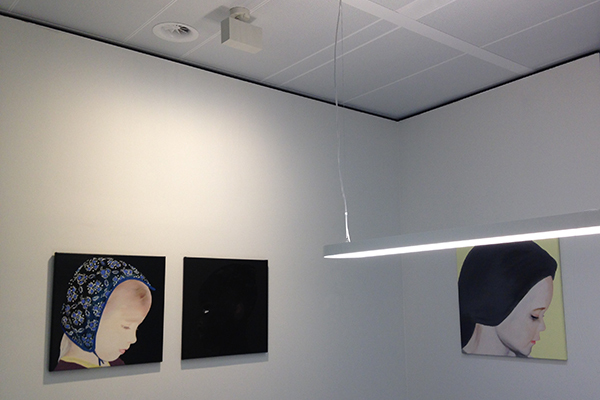 Since the size, form and color of the works have huge differences the lighting per room should be flexible, therefor we have chosen spots with a wide angle beam to lighten the art works. 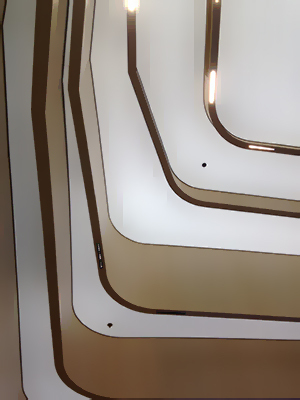 As a true color specialist befits every floor has its own colour theme. The light reflects the colour of the carpet at the ceiling and a vertical color spectrum can be seen from the atrium and even from the nearby highway.